53 years ago today Arsenal made their first foray in European competition when they played Staevnet, a combined Copenhagen XI, in the Inter Cities Fairs Cup. The Gunners had qualified for the competition, despite having finished seventh in the First Division, by virtue of the fact that teams above them were not eligible as the cities in which they were based did not host an annual trade fair. Possibly the most obscure qualifying criterion for a football competition. Arsenal had supplied players, a manager and a home venue in the inaugural competition when a combined London team was entered, eventually losing in the final to Barcelona. After a poor start to the season which wasn’t helped by an injury to goalkeeper Jock McClelland against Leicester, Arsenal hit a run of form which saw them win the four league games prior to their visit to Copenhagen. Not even the most optimistic fan would have expected what happened next as Arsenal recorded the then highest win by an English club in European competition. 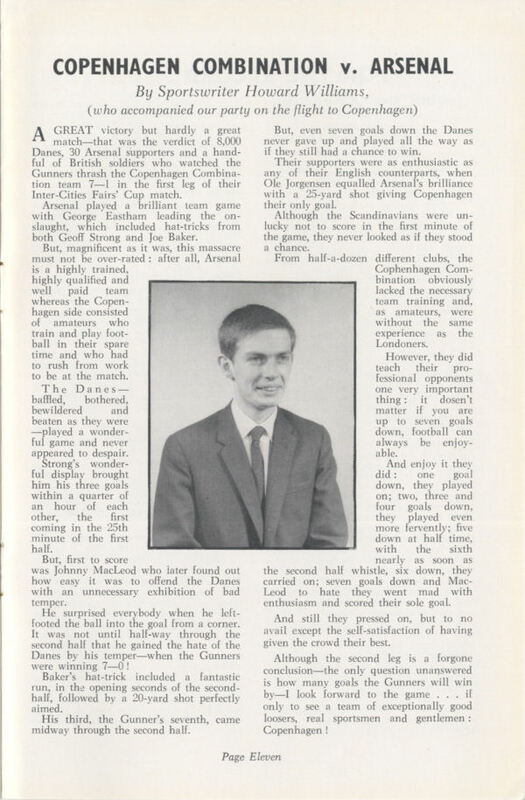 It took just ten minutes for Johnny MacLeod to open the scoring with a goal from close range finishing a move from Joe Baker and George Armstrong. 13 minutes later Baker beat three players to score his ninth goal in nine games. In the 26th minute George Eastham carved open the defence for Geoff Strong to open his account. He scored a second in the 35th minute with help from Laurie Brown and Baker, and completed his hat-trick five minutes later when the Danish goalkeeper let a long range shot slip through his fingers. Use the full screen button (four arrows) to view in larger screen. Use the same button to return to this page. 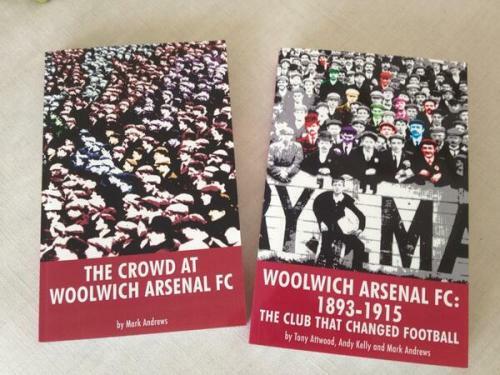 The crowd of 8,000 (15,000 in some reports) locals and 30 travelling Arsenal fans were not impressed with their team’s display and showed their displeasure by jeering and hooting Staevnet and cheering Arsenal. Imagine how they then reacted when Baker scored his second barely seconds after the second half kicked off, running 40 yards with the ball and beating four opponents! He emulated Strong with another similar run in the 75th minute which concluded Arsenal’s scoring for the night. The Danes didn’t finish the game with “nil points” as Ole Jorgensen netted a consolation goal nine minutes from time which the crowd greeted with a great roar. Arsenal eased off in the second leg, losing 2-3 at Highbury. They then went out of the competition in the second round to RFC Liegeois of Belgium. 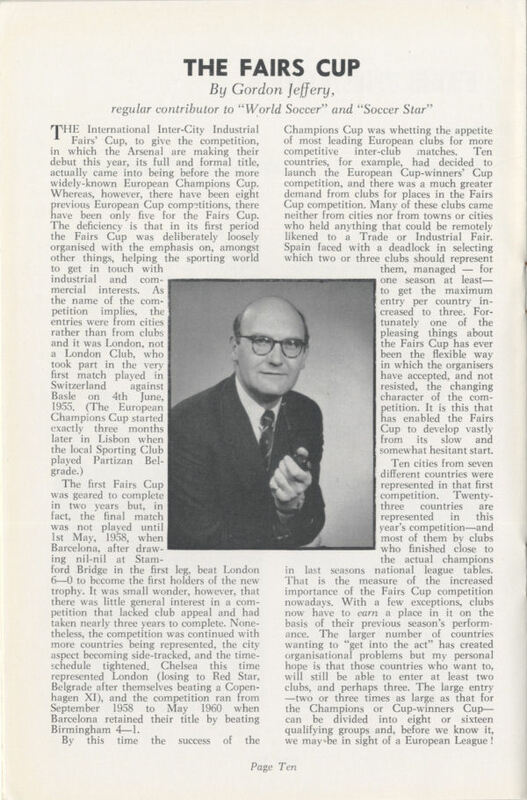 It would be six years before Arsenal competed in Europe again, winning the same competition which was then renamed the European Fairs Cup. Thanks for another brilliant reminder of past years . Sad that so many of that team are no longer with us but even in that barren 17 years they left such wonderful memories.